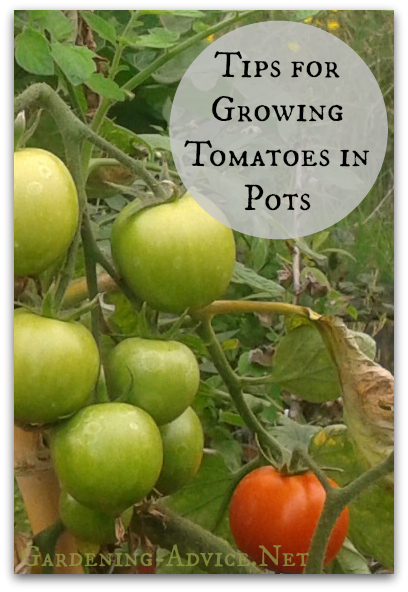 Growing Tomatoes In Pots is very easy. 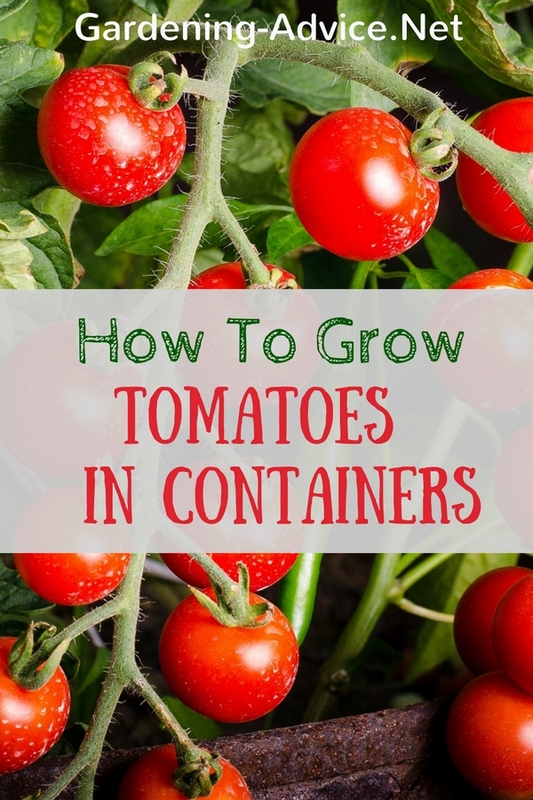 With these tips you will grow great tasting tomatoes in containers and grow bags! 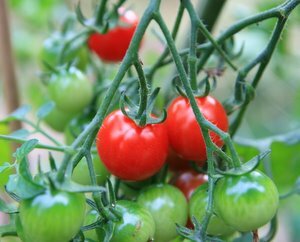 You can grow container tomatoes in conservatories, glasshouses, patios or in a sunny spot in the house. 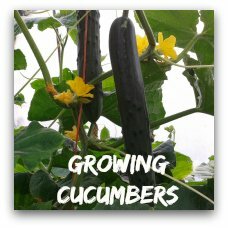 Growing them in pots can be done even in the smallest city gardens, on balconies or indoors! In my opinion nothing tops a home grown tomato! 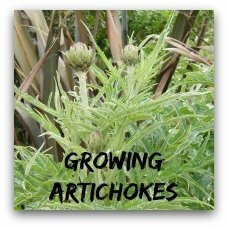 The flavor is usually much superior to shop bought ones and if you want to grow veggies in a pot this is definitely one you should try! 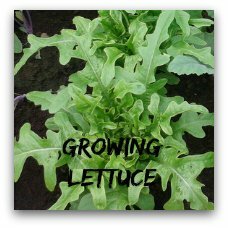 They are easy to grow, very productive and don't require much space. Just follow these tips and you will harvest lots of sweet and juicy tomatoes by the end of the summer. Container tomatoes, whether you are using a grow-bag or a pot, are one of modern gardening's great advances, since anyone can now have at least a few home-grown tomatoes, even if they live in a top floor apartment with only one sun facing window! If you want to grow tomatoes indoors it's the sun facing window that really matters. They definitely need a lot of sun! 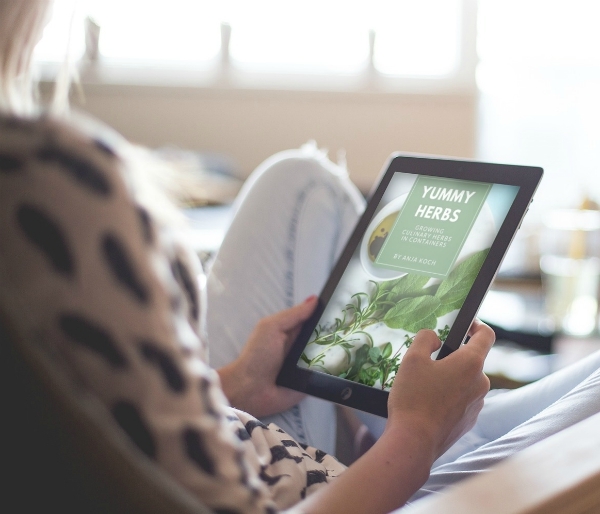 If you have an area that gets plenty of sunshine, whether it is in a greenhouse, a conservatory, that famous south facing windowsill, then you can certainly grow your own tomatoes indoors. 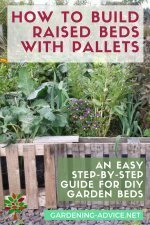 If you decide to grow your container tomatoes outside on a patio or balcony choose a spot that gets a lot of sun as well. The spot should be sheltered from wind otherwise the plants can fall over when they are big and top-heavy. Growing Tomato Plants in Pots or Growbags? Tomato grow bags have become very popular in countries where they are available and are ideal for growing tomato plants in a greenhouse or against a sunny wall. The plastic keeps the soil moist with very little attention from you. But they are not, of course, really suitable for that windowsill! Growing tomatoes in pots is a much better alternative for growing tomatoes indoors, on a patio, or for tomatoes that will need to be moved to catch the sun. A tomato planter does not need to be deep. Tomatoes are shallow rooted plants and a wide shallow pot is better suited to their needs. It should be filled with a good general purpose compost before planting. less risk of transplant shock. 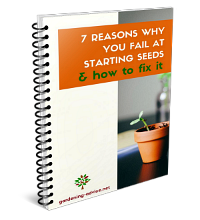 Should You Grow Tomato Plants From Seed Or Buying Plants? 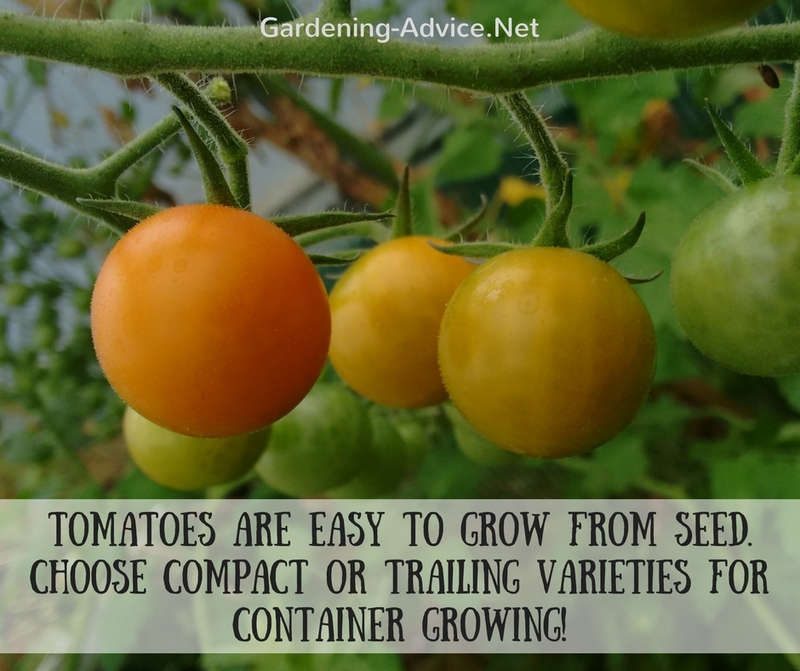 Tomatoes are one of the easiest plants to grow from seed as anyone with a compost heap knows! One tomato on the compost heap will give dozens of little tomato plants. Growing tomato plants from seed: So, if you live in an area with short winters, it is well worth growing your own seed by pressing half a dozen seeds into compost in a five inch pot and , once they have germinated, leaving the strongest plant and weeding out the others (If you are like me, you then transplant the others to other pots!) Once the little tomato is six inches high, it should be transplanted to its permanent pot. Buying tomato plants: If however, you live in the frozen north and the growing season is short, you may well be better advised to buy some sturdy strong tomato plants that have been started in a heated commercial greenhouse. Also, if you have never grown tomatoes before, it may be better to buy plants in your first year. Tomatoes can be either bush tomatoes, which require very little staking or pruning or vine tomatoes, which are grown on a single stem up a stake and need to have extra growth cut off. Growing tomatoes in containers is probably easier with bush tomatoes since vine tomatoes really need a strong stake pushed deep into the ground to support the plant. Growing tomatoes in pots means that you have to look after all their requirements. 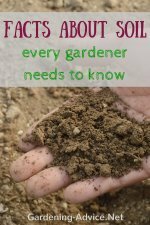 The soil has to be kept moist. 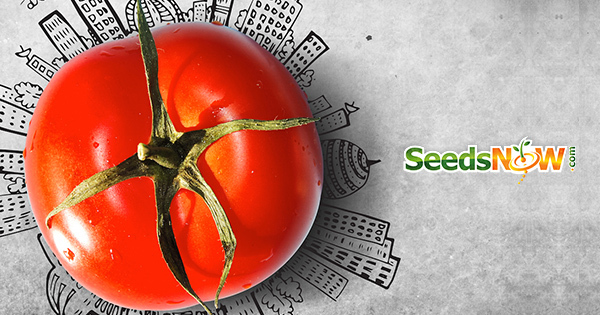 Tomatoes HATE being sprinkled and getting their leaves wet so just water the soil, not the plant. Once the tomatoes are flowering, the flowers need to be fertilised by insects before the tomatoes can produce fruit - so, if they are on that windowsill or in the conservatory, make sure you open all the windows to let those useful insects in! As soon as the fruit starts to form, give the tomato plants a liquid feed - you can buy tomato fertilizer from garden centers. This is a potash rich food which encourages the fruit growth. 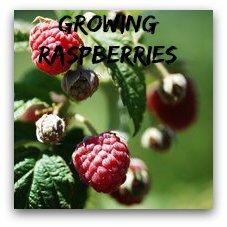 When the plant has between 6 and 8 trusses of fruit - little bunches - pinch out the top of all the growing stems so that the plant stops growing upwards and concentrates on its fruit. 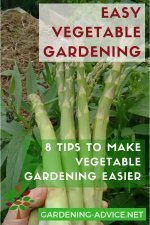 Check out this page for more tomato growing tips.